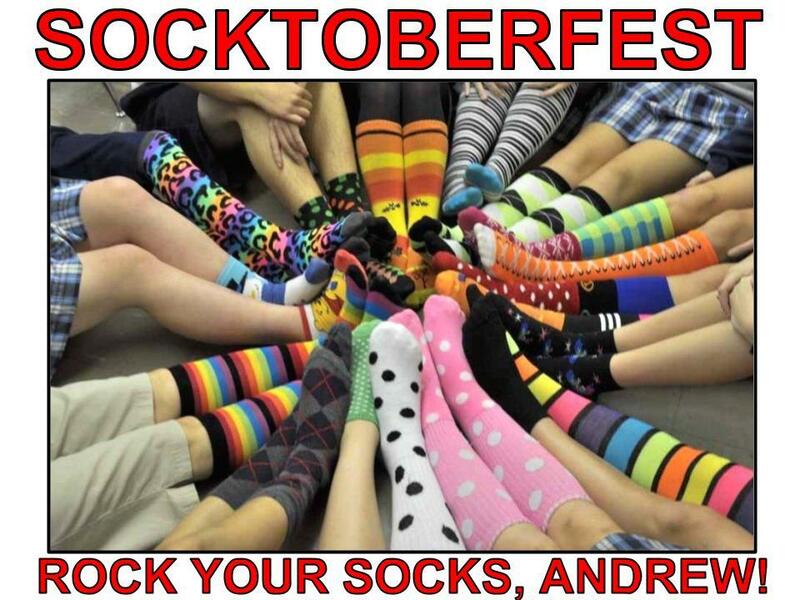 On Friday, October 20th, bring $1 to wear your favorite socks. Silly socks, mismatched socks, seasonal socks, crazy socks, whatever you've got, rock those socks on Friday! All proceeds will go to Jack's family.